Sunset. 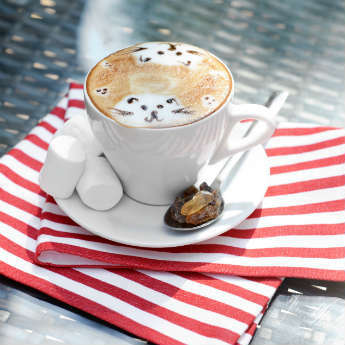 Who else agrees that it’s one of the best times of the day? They’re romantic, breath taking and if they’re extra beautiful, sunsets make for some stunning holiday photos. 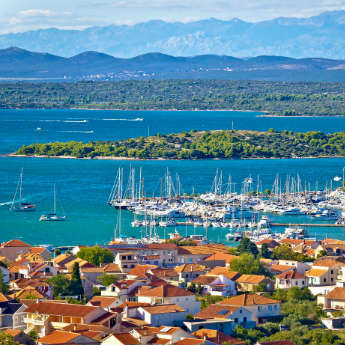 With that in mind, here are the top sunset spots in Europe so that you can have an evening to remember on your next holiday. Out of all the sunsets in the world, this is probably one of the most famous. 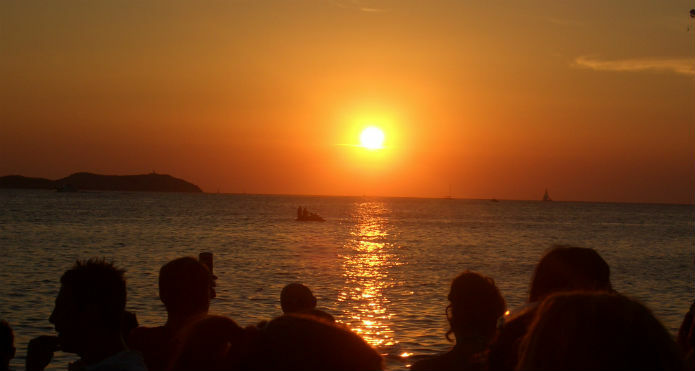 There’s no better way to start a night in Ibiza than by watching the sun go down on San Antonio’s Sunset Strip. 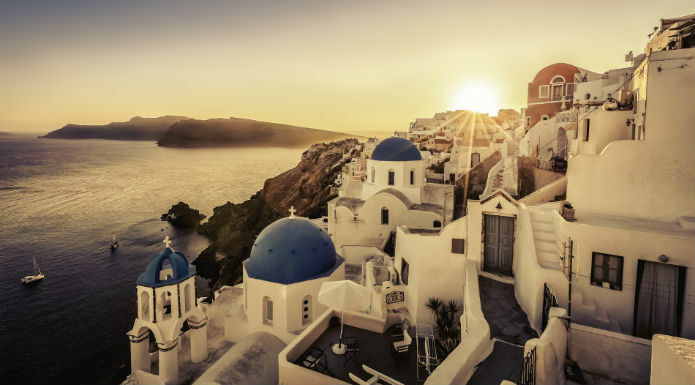 Santorini is known for its magical sunsets and one of the best places to catch that iconic moment is in the village of Oia. The sun lights up the buildings with a pink glow before setting behind the glistening blue ocean. Make sure you have your camera ready! 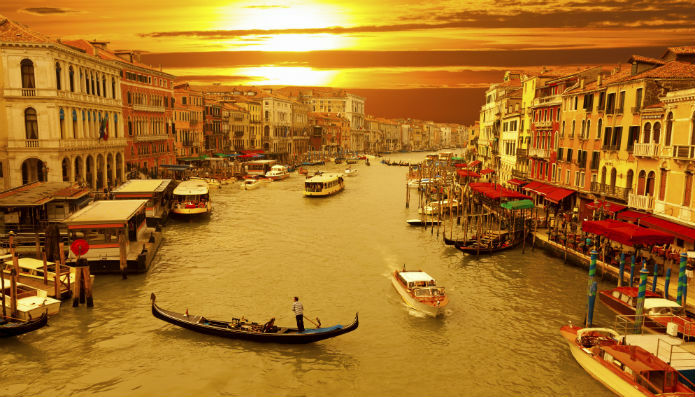 There’s no doubt that Venice is a romantic city with its quaint canals and traditional gondolas. Share a special moment with loved ones and watch the sunset from the Bridge of Sighs, as the sun sets on another beautiful day in Venice. This colourful European city is stunning at the best of times but if you see Barcelona at sunset, you will see it at its most beautiful. 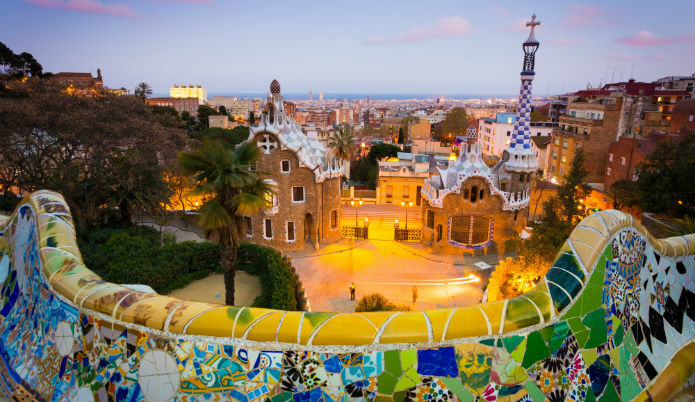 Two of the best places to watch the sun set over Barcelona is in the must see Parc Guell where you can see the whole city glow in the evening light. 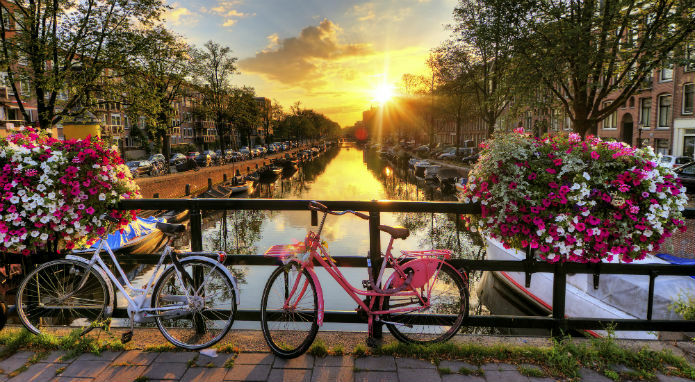 You’ve spent a day wandering the cobbled streets of Amsterdam, soaking up its culture and history, so why not spend an evening taking in the sunset? The flower and bicycle lined canals have never looked so pretty.